Projectmates offers the government industry expansive options in the digital age to increase efficiencies by harnessing smart city technology. Government agencies are updating archaic technology to incorporate smart city technology to a greater extent and improve digital workplace efficiencies while also de-siloing different departments. 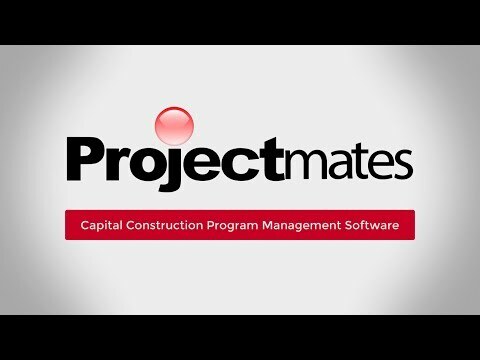 Projectmates Capital Construction Program Management Software provides several features that streamline this process from quick implementation time, capital construction bond management, and mobile friendly aspects that work natively with apple and android. Projectmates is robust enough to handle a multitude of projects concurrently and has over 100,000 projects and 55,000 users. Projectmates offers a digital government platform to help orchestrate communication between various agencies and departments. Smart city technology also features the ability to work on any device capable of internet connectivity. This is shown by the State of Idaho being able to do approvals between the Division of Public Works and the state agencies while on-the-go. In the past, a project manager would have to email a coordinator in the office to print paperwork (printing a vast amount of paper) and walk it around the office for a signature (unproductive time spent). Afterwards, the coordinator would have to scan the documents and send it back to the project manager to forward to a state agency. Now, however, those processes are automated and do not use a paper resource or employee time. Projectmates is the smart city option for decreasing data entry, increasing productivity, and improving the speed of projects becoming completed. Mobility is critical, and that is what we aim to deliver for our clients. We are proud to work with the State of Idaho and all our government clients because we can help to increase smart government and paperless technology." Stated Kaely Culbertson, Systemates Director of Client Services. The characteristics of smart city technology involve orchestrated intelligence that allows group problem solving and open discussion forums. To do this, Projectmates has included discussion features for both module specific aspects of the project all the way to project wide discussions with the ability to tag and notify different individuals about questions pertaining specifically to them. This allows multiple people from different departments to work collectively towards solving a problem. Projectmates mobile discussions natively use built-in features for both Apple and Android. Instead of always checking email or the 'My Work' page, pop-up alerts notify you of any items that have been assigned or copied to you, allowing immediate follow-up capabilities. By doing this, it facilitates collective problem solving while also making sure everyone who needs to be in the discussion is kept in the loop. This increases accountability and timeliness while also being designed specifically for mobile needs. Additionally, smart city technology must stay up-to-date with cyber security. With the dangers of cyber-attacks, Projectmates offers a risk-based security that is SOC 2 Type II certified. Featuring a secure role based platform for data sharing and crystal clear audit trails for users, government agencies are more secure than ever with Projectmates. The recent attacks using ransomware on cities have increased the need for robust security. Projectmates features a cloud-based solution that cannot be hit with ransomware. Meaning that even if your government organization is affected with ransomware, your projects will stay safe and unaffected. Projectmates offers transparency by allowing every detail of the project to be viewed by the appropriate personnel while also letting team members see drawings, meeting minutes, discussions, project budgets, invoices and more management processes. Each aspect of a project is stored and shared in real-time, taking the guess work out of where a project stands and status of the budget. By being paperless and having automated communication channels, Projectmates offers local and national government entities an efficient use of critical personnel resources. We also make the plans, specifications and contractor submittals available to multiple departments throughout the course of the project. This has greatly helped to reduce the volume of questions that arise during the project. After using Projectmates for several years, our engineers and contractors have found it to be very user friendly and have provided feedback to us from their experiences with using other similar software for other municipalities that were very cumbersome." Stated Mike Querry, Construction Inspector Supervisor for Trinity River Authority. Projectmates is proud to work hand in hand with government agencies to further smart city technology. To learn more and schedule a personalized demo, click here. What does SOC 2 Type II mean and how does it affect me? If your company uses a partner for collection, processing, and retention of sensitive information it is best practice to make sure the data is secure.